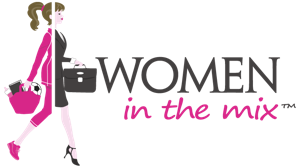 Women in the Mix is a venture focused on inspiring, empowering, and equipping women to thrive in work and life. 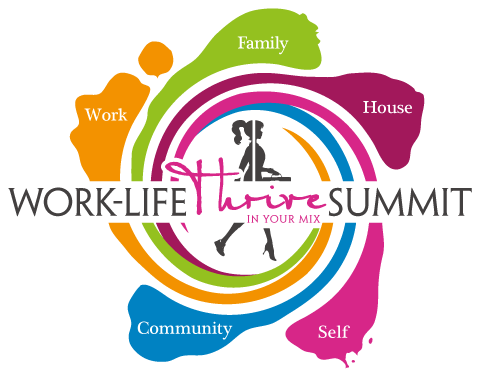 We have adopted the concept of “work-life mix” to refer to all of the different areas that may comprise an individual’s life, including work, family relationships, household management, self, and community (collectively, “The Work-Life Five™”) and anything else of importance to that person. We believe that each person creates her/his own “mix” through a compilation of choices, whether voluntary or circumstantial, planned or unexpected, at any given stage of life. These choices necessarily intermingle and overlap, and sometimes conflict but, hopefully, more often complement. The concept of “work-life balance” is a misnomer because it implies a dichotomy, with work on one side and life on the other, and that there is a point where it all delicately teeters in equilibrium. Such an analogy leads many on a futile and frustrating search for an elusive “balance.” Women in the Mix strives to shift the conversation so that individuals focus on the entirety of their lives and are empowered to make informed choices to create a thriving work-life mix at each stage of life. The notion of creating a thriving work-life mix implies a range of choices and opportunities that may not apply to everyone. The discussions of work-life recently ignited by Anne-Marie Slaughter, Sheryl Sandberg, and, to an extent, Women in the Mix, involve certain underlying assumptions; and we are intimately aware of the reality that many women do not have the opportunities or choices as they are struggling daily to make ends meet and take care of their families. While our hope is that work-life mix applies across social strata, we recognize that part of our content will be most relevant to women fortunate enough to have some level of choices about whether, when, and where to work. But, it is our sincere hope that our message and materials will resonate with a broader audience, including women and men, in every workplace, community, and home, and shift the focus from whether we can each “Have It All,” to a society that helps all of us thrive in work and life.